Welcome to Ajanta Pharma Limited. We recognize that 'innovation is the key to success' and have been consistently investing in R&D over the last decade. Over the years, Ajanta Pharma has established a wide marketing network that is operative in domestic and international markets. Media has been always very supportive in enhancing company’s brand value. We bring all top updates of the same. Our success is attributed to the efficient and committed Ajantaites working together towards a common goal. We value the trust our investors, bankers, institutions and other stakeholders have placed in us. 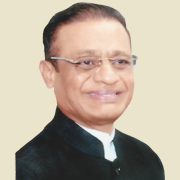 Mr. Mannalal Agrawal is the Chairman of Ajanta Pharma. He has more than four decades of experience in the field of accounting and taxation. He takes keen interest in the social activities of the company. 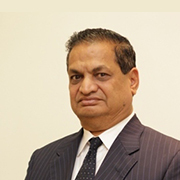 Mr. Madhusudan Agrawal is the Vice Chairman of Ajanta Pharma. He has rich experience of over 30 years in the field of corporate affairs and business development. He contributes effectively towards social causes and philanthropic activities of the the company. 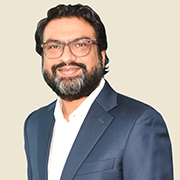 Mr. Yogesh Agrawal is the Managing Director of Ajanta Pharma. A management graduate from Johnson & Wales University, USA, he joined the company in 1996 and grew-up the ranks to become the Managing Director. It is under his leadership that Ajanta Pharma made a corporate turnaround and emerged as a leading branded generic player from India having strong footprint in its chosen markets. 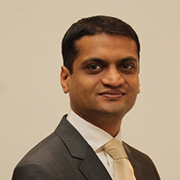 He spearheads Ajanta's foray in the regulated and emerging international markets. He has envisioned and transformed the company’s research program and manufacturing capabilities, setting-up state-of-art facilities that meet stringent regulatory requirements. His passion towards research and development has fuelled the company’s growth. Mr. Rajesh Agrawal is the Jt. Managing Director of Ajanta Pharma. A graduate in Business Studies from University of Buckingham, UK and MBA from Bentley College, USA, he joined the company in 1999. It is under his joint leadership that the company made a corporate turnaround and emerged as a leading specialty focused company. He has transformed Ajanta's domestic business to one of the best performing market for the company. His keen focus on new products and strategizing has made Ajanta a leading player in the segments of cardiology, dermatology and ophthalmology in a very short period. Most of the new product launches, being first of its kind in the Indian market are credited to his business acumen. He has also replicated this success in the Philippines, where the Ajanta Pharma Philippines features amongst the fastest growing companies in that country for over three years. Mr. Chandrakant Khetan is a technical graduate with more than 35 years of valuable experience as an industrialist. He has diverse business interests spread across various segments and his vision and commitment to professionalism is widely recognized in the industry. 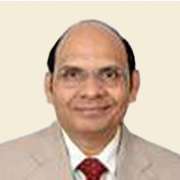 Mr. K. H. Vishwanathan is finance professional, retired from IDBI Bank as General Manager. He has around 30 years of experience in the field of banking and finance and has served the company's Board in the past as Nominee Director of IDBI. Dr. Anil Kumar is an eminent cardiologist from Mumbai. 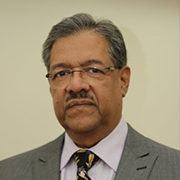 He has been practicing medicine in many reputed institutions such as Bombay Hospital and Sir JJ Hospital. He contributes in academics by teaching in medical colleges. Mr. Prabhakar Dalal is a highly experienced banker in commercial and development banking, with extensive international exposure. 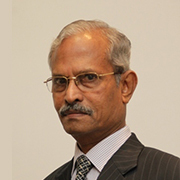 He has worked with EXIM Bank of India for more than 31 years. He held various senior management positions with EXIM bank and was Executive Director of the Bank for over 3 years before retirement. Mr. Dalal's core competencies include corporate finance, international trade finance, overseas projects finance, human resources management and institutional and international relations. Dr. Anjana Grewal, is an experienced corporate professional with over three decades of experience in the fields of sales, marketing, financial services and insurance. She has worked with leading Indian and multinational corporates in Pharma, FMCG, Banking and insurance sectors. She is reckoned for several product and packaging innovations in the personal care and FMCG sector as also for several initiatives related to sales, service and distribution in the Banking and insurance segments. 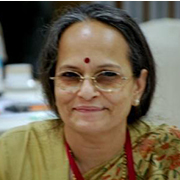 She is also an academician and visiting faculty at various leading management institutes in India and overseas and is guest faculty and Trainer at RBI and IBA. Currently she is Senior Professor and Centre of Excellence Faculty Director- MISB Bocconi, India Campus of SDA Bocconi- Italy.